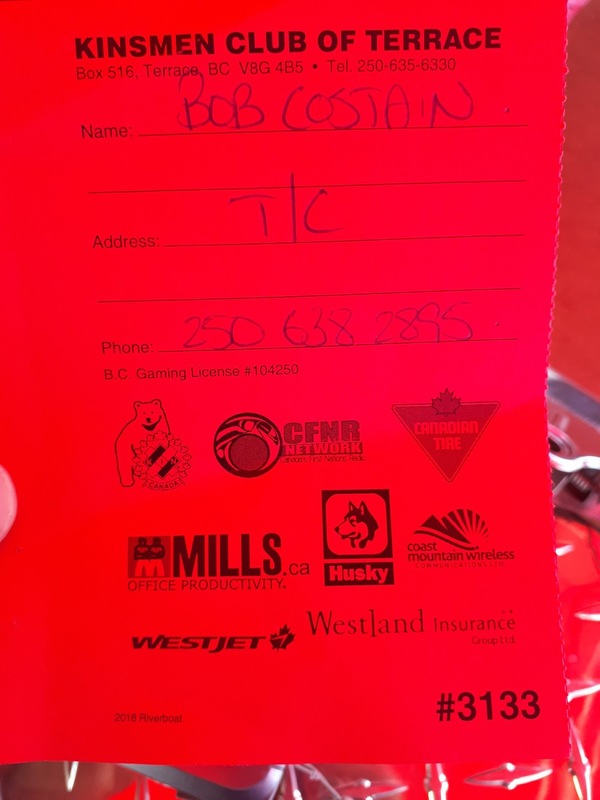 Here's the winning ticket that was drawn on Sunday, June 17th, 2018. 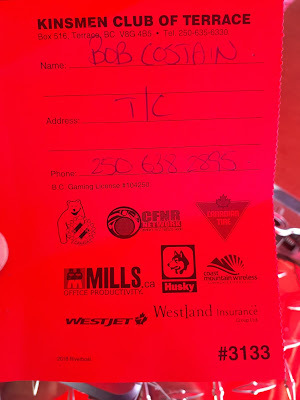 Congratulations Bob Costain! Thanks to everyone who helped make our 2018 Riverboat Raffle a success, especially Terrace Husky, Canadian Tire, WestJet, CFNR, Westland Insurance, Coast Mountain Wireless, Mills Office, and everyone in Terrace and surrounding communities who supported the raffle by buying tickets!